The Nike Tiempo Legacy III Firm-Ground Soccer Cleat features kangaroo leather, plus a knit heel and an internal liner for exceptional touch and stability on short-grass fields. Soft, supple leather on the front of the cleat delivers unrivaled touch on the ball. The 2017/18 FC Barcelona Home Men's Soccer Jersey is made with lightweight sweat-wicking fabric to help keep you cool, dry and comfortable. The 2017/18 Chelsea FC Stadium Men's Soccer Jersey is made with breathable, sweat-wicking fabric to help keep you cool, dry and comfortable. The Nike Magista Obra II FG Firm-Ground Soccer Cleat provides precise touch and enhanced fit to help you perform playmaking moves on the field. Its firm-ground (FG) cleats are designed for use on short-grass fields that may be slightly wet but rarely muddy. The Nike Mercurial Victory VI Dynamic Fit Firm-Ground Soccer Cleat provides a perfect fit, exceptional ball touch and explosive traction for ultimate speed on the field. Made for the attacking goalscorer, the Nike Hypervenom Phatal III Dynamic Fit Firm-Ground Soccer Cleat is designed to increase shot velocity and enable quick changes of direction on short-grass fields. The Nike Mercurial Victory VI Dynamic Fit CR7 Firm-Ground Soccer Cleat features a sleek upper and an innovative cleat arrangement for incredible touch and traction on short-grass fields. Designed for the for the attacking goalscorer, the Nike Hypervenom Phantom 3 DF AG-PRO Men’s Artificial-Grass Soccer Cleat delivers a sock-like fit while increasing shot velocity and enabling quick changes of direction on artificial-grass fields. The 2017 U.S. Stadium Third Men's Soccer Jersey provides lightweight comfort for cheering from the stands or wearing on the street. Designed with a textured upper and innovative traction, the Nike Mercurial Vapor XI Men's Firm-Ground Soccer Cleat enhances ball control and change of direction when playing on short-grass fields. 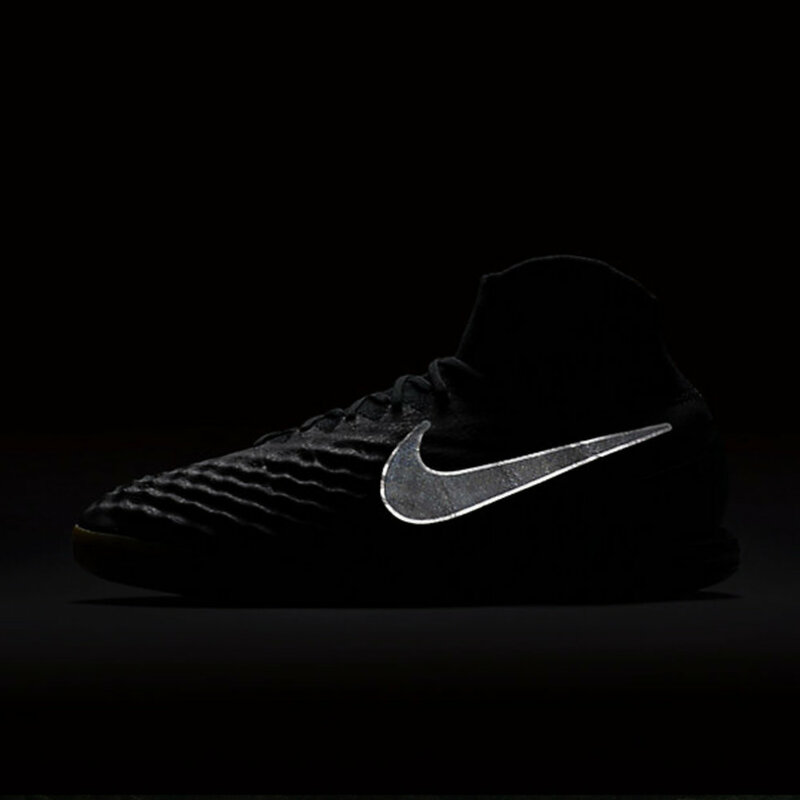 Nike introduces the Dark Lightning Pack, a collection of football boots featuring a black upper, a black Swoosh and a pop of bright colors on each of all four Nike Football silos — Mercurial, Magista and Tiempo. The Nike MercurialX Victory VI CR7 Men's Indoor/Court Soccer Shoe features a sleek upper and rubber outsole for incredible touch and traction when playing small-sided games, indoors or on the court. The Nike Mercurial Superfly V Men's Firm-Ground Soccer Cleat provides stability and exceptional ball touch. Its cleats are designed for superior traction on short-grass fields. The Nike MercurialX Proximo II Men's Indoor/Court Soccer Shoe features a lightweight, breathable upper and full-length cushioning for lockdown and comfort during play. A non-marking rubber outsole offers durable traction, indoors and on the street. The 2016/17 F.C. Barcelona Stadium Third Men's Soccer Jersey provides lightweight comfort for cheering from the stands or wearing on the street. The Nike MagistaX Proximo II Men's Indoor/Court Soccer Shoe provides incredible touch and precision control when playing small-sided games, indoors or on the street. The 2016/17 FC Barcelona Stadium Men's Soccer Jersey provides lightweight comfort for everyday wear.